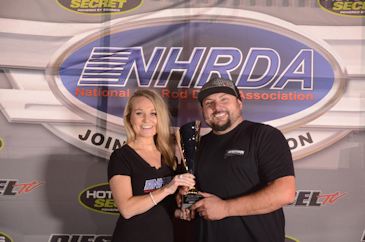 "I would also like to thank everyone at Industrial Injection for everything they have done for me, Starlite Diesel for a great tune, Edge Products who have been with me since the beginning. I also want to thank Valair Clutch for a great setup. And of course my loving family for letting me go on the road and do what I love." Tom will now look to the 2018 season and defending his National Championship and going after the NHRDA World Championship as well.